Built in 1834 by Andrew Sydenstricker and Frances Coffman, Pearl's paternal grandparents, this house was the birthplace of Pearl's father, Dr. Absalom Sydenstricker, a Presbyterian missionary to China. The original two-story section of the house was built of logs, and later covered with siding to match the additional part of the house, which was added as the family grew. 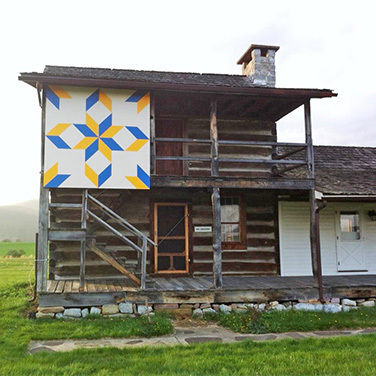 The Sydenstricker cabin was moved from its original location in Greenbrier County and restored on the Birthplace site in 1982. Located in the heart of the Appalachian Mountains, the Pearl S. Buck Birthplace showcases the home in which the Nobel and Pulitzer Prize-winning author was born in 1892. After fleeing religious discrimination in Holland, Pearl's maternal family, the Stultings, settled in the Appalachian Mountains on a 16-acre farm in an area known as the “Little Levels,” surrounding the town of Hillsboro in Pocahontas County, West Virginia. Upon arrival in Hillsboro, Pearl S. Buck's great grandfather, Cornelius Stulting, aimed to build a house like the one they had in Holland. Pearl Buck's mother, Caroline, often called "Carie," was reared in this house. She eventually married Absalom Sydenstricker and, shortly after their marriage, the couple left for China to become missionaries, but visited this home frequently on their furloughs. During one of these visits, Pearl Comfort Sydenstricker was born in her grandfather's home on June 26, 1892. The house contains period antiques indicative of the lifestyle of a late-19th and early 20th-century working family. The modest two-story, hand-built home serves as a museum dedicated to educating visitors on the early experiences of Pearl's life that helped shape some of the major characters and plotlines of her books. It was listed in the National Register of Historic Places on June 15, 1970. In addition to the home site, visitors also have access to a period-era carpentry shop and barn with over 100 historic farm and woodworking tools, 13 acres of scenic Appalachian farmland surrounded by the Monongahela National Forest, and the log home of Buck's father's family, the Sydenstrickers. The parking lot includes a bus turn-around and drop-off point adjacent to the museum, which has also been renovated to include an arbor and a handicapped accessible portico. Fans can relax among benches set in the beautiful park area, enjoy a picnic or tour the grounds. Representative of the self-reliance and self-sufficiency that characterized early American life, the home features hand-made brick, hand-tooled woodwork, and building supplies that were sourced from the property. 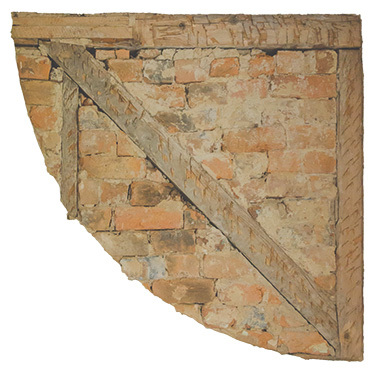 To ensure the longevity of the home against strong winds and fire, a unique architectural style – called “brick noggin” – was used. This concept incorporates timber frame construction along with brick-lined walls that were covered with clapboard siding on the outside. The picture is of Pearl's father, the Rev. Absalom Sydenstricker. Pearl wrote his biography entitled, "The Fighting Angel." Did you know that he translated the Bible into Chinese, a feat whereby he had to know each one of the symbols in that tongue's alphabet?